The first season of this mindfuck of a series wraps up this week, so catch up before there's spoilers everywhere. The story, based on a 1973 film by Michael Crichton, surrounds a Wild West-themed park where visitors can roleplay with very lifelike robots – until the robots develop their own consciousness and get a handle on the years of abuse they've suffered at human hands. With a killer cast (Anthony Hopkins! Evan Rachel Wood! James Marsden! Ed Harris! That Brazilian guy with floppy hair from Love Actually!) and a really fascinating concept, binging it will 100% take you out of the here and now. Not up for it? Season 4 of Please Like Me is airing weekly on Amazon, and it's just so damn delightful. 2. Read any of these excellent books. It's DECEMBER, and the year is quickly coming to a close, so the time has come to double down on as many of 2016's best books as you can. This list is a great place to start. If you'd prefer some shorter reads, here's a lovely collection of essays to choose from. 3. Listen to Night Driver by Busted. Busted are back with this moody album, so satisfy your nostalgia, swoon over Charlie, and enjoy their synth-y new sound. Or, how about BuzzFeed's excellent new podcast about being Muslim in America, See Something, Say Something? This adorable little game is a perfect way to pass the time. Drag the waves up and down with your fingers to keep your surfer afloat, and see how far you can go. Or how about the tricky word puzzle Red Herring? 5. Cook this brownie fudge pudding. A warming winter dessert if there ever was one. Or, indulge your garlic obsession with these garlic bread recipes. 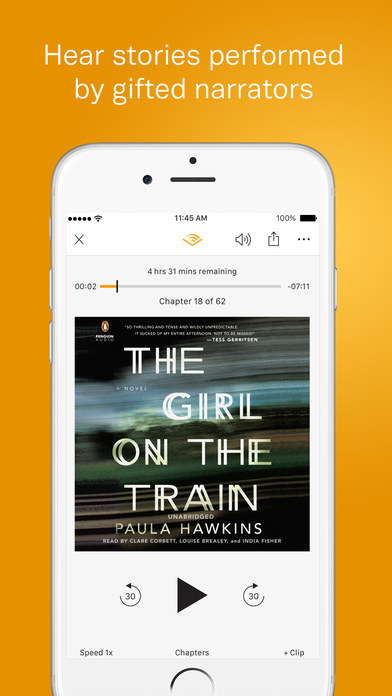 Ailbhe says: ""I downloaded Audible for the first time this week and I'm a big fan! It's like Spotify for Audiobooks – and they have a great selection of current titles, and classic too. "Pros: The first month is free, then it's £7.99 a month. You get one credit (i.e. one book) a month, and you can download the book to your phone for offline listening. The book doesn't expire either, so you can quit your account and still own the book if you want. It's actually cheaper than buying the audiobook – i.e. the first Harry Potter book is one credit on Audible, or £17 on iTunes. 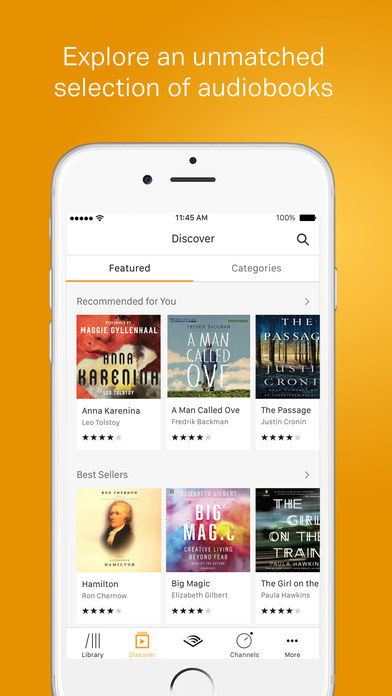 "Cons: It's a little tricky to navigate – you can't buy books through the app, you have to download them on Amazon. The 'credits' situation isn't really clear either – I had to look up how they worked. But those are just set-up problems really." Or, try your hand at bubble art. 7. Follow The Hair Historian. Laura says: "Before Instagram was a fine source of hair inspiration, hundreds of years of fine art were doing a pretty solid job of painting the kind of wondrous locks you can't help but wish were your own. The Hair Historian, which brings you daily beauty updates from art history, is combining old and new gloriously and proving that paint really was the first Snapchat filter." "TL;DR: The pre-Raphaelites are hair goals." Or, Maggy says: "I've been obsessed with an Instagram called Girlgaze which is all about supporting young female photographers. "The account first started as a hashtag then Amanda de Cadenet (the British photographer and TV personality) expanded it into this massive support network for female artists – they have exhibitions now as well! A lot of the work featured on their Instagram has to do with sexuality, body image, mental health, grief, and just simply being a woman." Rodrigo Santoro is Brazilian. A previous version of this article stated he was Spanish.